Here’s a link to a Moviola page over on Bela’s Anyway Records site. A couple songs from a recent session we recorded in a barber shop in Columbus, the legendary Mug and Brush. It was fun, there was free beer and pizza, though we didn’t get free haircuts. It was also about -2F outside, hence the frosty window effect. I hope you enjoy these. 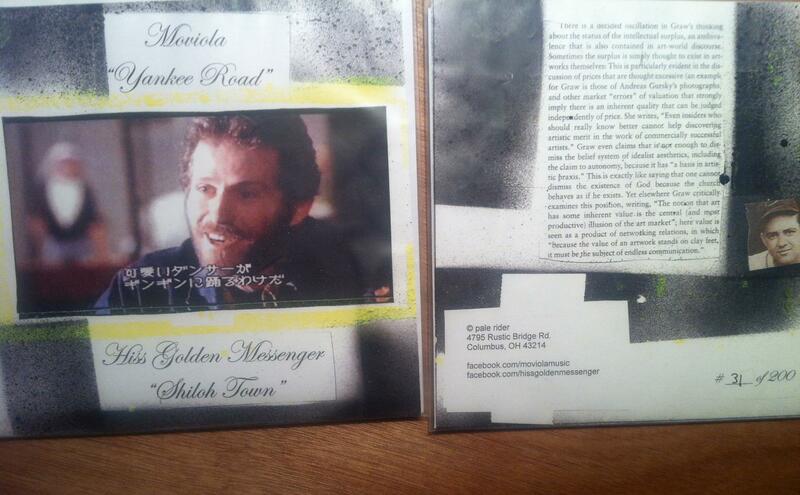 Split 7″ with Hiss Golden Messenger for Record Store Day. 200 copies. LH4EVR. 3:15 show at Used Kids Records 4/21. All day live music w/ Cheater Slicks, Hoot Owls, Psychedelic Horseshit, Mike Rep + Tommy Jay, Shack Job, and more. On a recent autumn evening we gathered to listen, learn and record this timeless, creepy classic by departed country crooner, Eddy Arnold, which possesses one of the single most depressing lyrics in the history of mankind: “He didn’t stop last Christmas Eve/Doesn’t he know we live here?/Will Mommy have to paint my toys/The way she did last year?” Oooft. Delivered in the inimitable down-low basso profondo by our own Parker Paul. 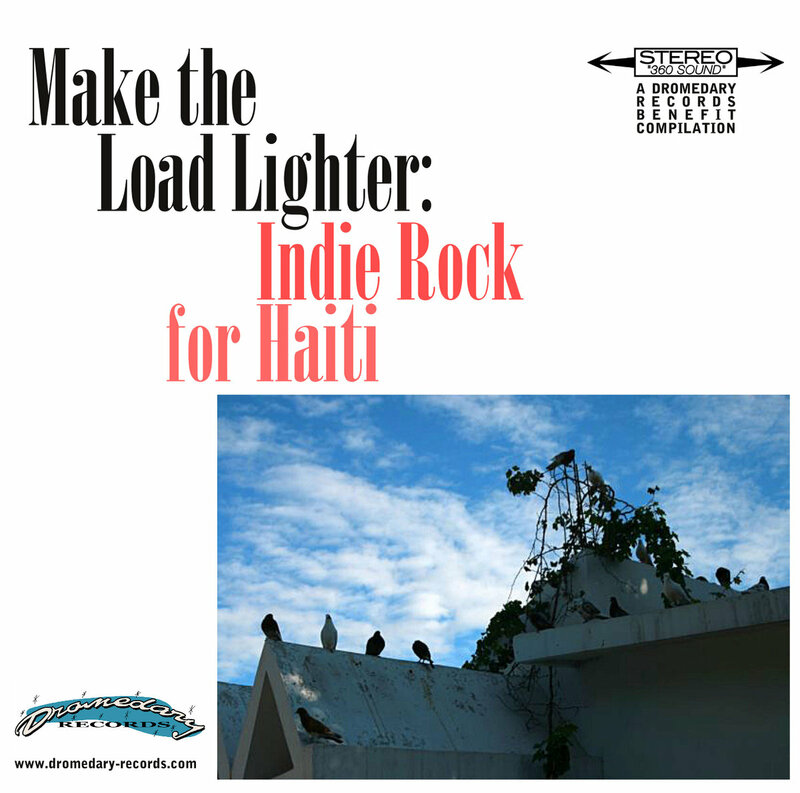 Listen, download and share, as our friends at donewaiting.com are putting this out for a good cause. “Knotty Pine” 07.11.2009, in the Goody Boy parking lot. Long time no post, friends. Some upcoming movement in Moviolaland in upcoming months. We’re playing twice here in Columbus in July, first on July 11 with a long list of other acts at the Surly Girl/Columbus Music Co-op Parking Lot Blowout show, and then on July 25 with good friend Eve Searls and her band Bird and Flower for her record release party at Wholly Craft. First time ever playing in a craft store, that one. Eve just sang some vocals on a new Moviola song, and the results were fantastical. We also had some horn players, Jason and Billy, just record some honkin trumpet and sax parts on a couple other songs, and they may turn up at one of these shows soon, who knows. A couple other guests recording with us soon, which we are very stoked about, but we don’t want to spill the beans on that one just yet. Other than that, Parker Paul (who mans the keyboards in Moviola) is playing a rare show soon, you should go see that, and a long-simmering project Jake has been working on with Jerry DeCicca is finally coming out is out now on Drag City soon. Hooray for that. Talk at you soon. Jerry did the Pat Radio show over the Thanksgiving holiday to talk about our upcoming Dec. 5th show with D. Charles Speer from NYC. Here’s the Columbus Underground mention + links.